rapper M.anifest talking about reciprocity. 'Hand Dey Go, Hand Dey Come' is slang that suggests mutuality - ‘you scratch my back and I’ll scratch yours’. 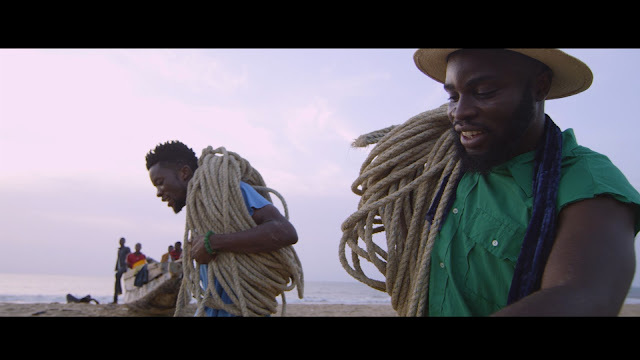 The song features rising star and now frequent collaborator Worlasi and in this flick, we see the two men working hand in hand to reel in the day's catch in the coastal town of Woe. Woe is a town on the southeastern shores of Ghana which is perhaps best known for its Cape Saint Paul lighthouse. It also happens to be M.anifest's grandmother's hometown.